A few months ago, I posted about one of Jasper’s favourite books, and I’d like to try to do that more often, both as memory device for myself and as a resource for others. I often take lists from other bloggers to the library – it’s a great way to sift through the mountain of material and find the really good stuff. 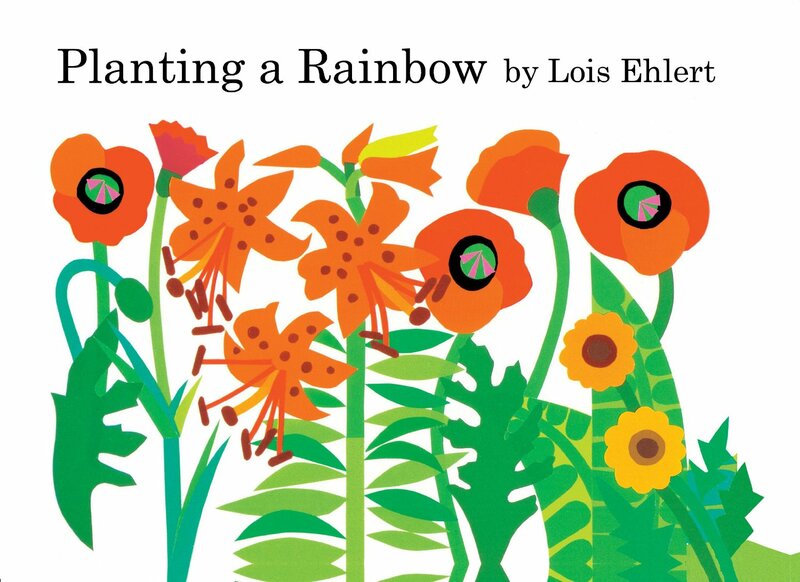 These days as the sun sets and the tub drains, Jasper’s been choosing Lois Ehlert’s “Planting A Rainbow” over and over again. It’s an over-sized board book (the publishers call it “lap size”), with big, beautiful pictures, a fun series of flaps in the centre and a great story about a flower garden. The story travels through each season, making it appropriate year-round, but I think part of its magic on these humid, July days is the way it reflects the rainbow-filled jungle growing just outside our door. One of my favourite things about it is the language — it’s rich, realistic and detailed. For that child hungry to know the name of everything, there is a fun list of flower’s names on every page, from aster to zinnia. This gorgeous book also inspires some wonderful practical life work: flower arranging — a quiet and beautiful toddler activity. 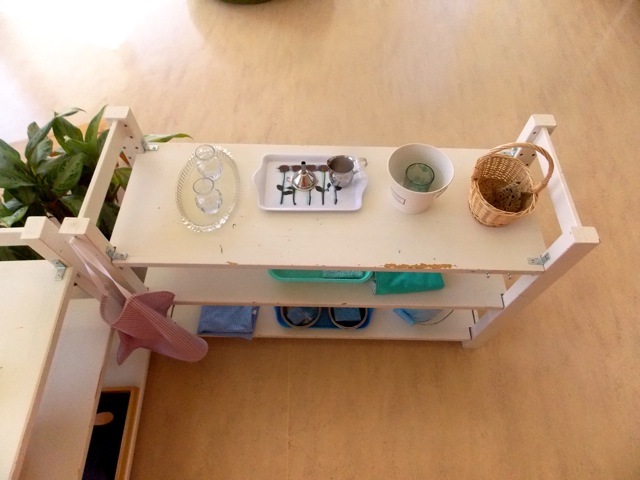 Above is the work as it is presented in a toddler classroom (age 14 months to 3 years) at Bannockburn School, progressing from right to left from putting on the apron to choosing a doily from the basket to place under the finished arrangement. (I should note, because you’ll likely notice: there aren’t any flowers — when class is in session, a bud or two would be in water in the blueish vessel in the white bucket). 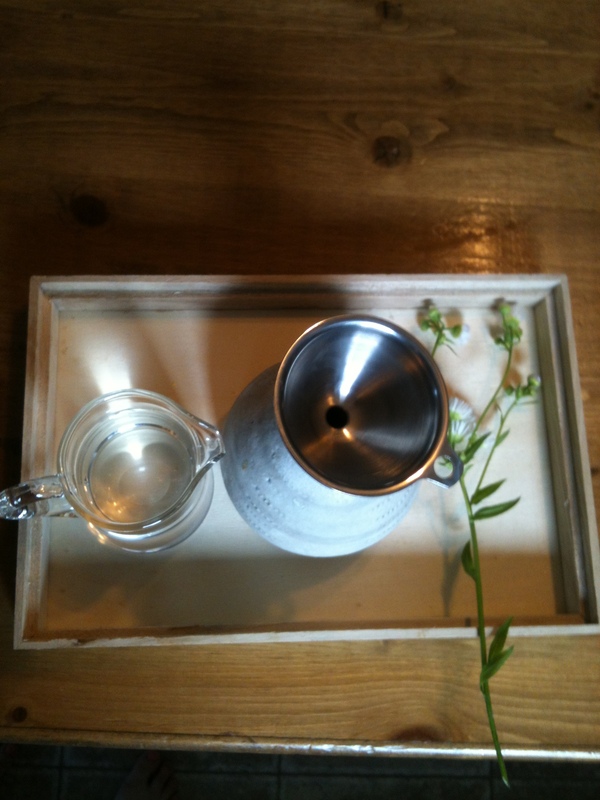 And here is the tray presented in a home setting. At 7:30AM, moments after Jasper brought a spray of fleabane inside, with a quick photo taken midway through on an iPhone. P.S. I also love this more involved work inspired by the same book: planting a rainbow of spring bulbs!